A series celebrating the songwriting artistry of Billy Joel and his album "The Stranger"
The songs on The Stranger need no introduction. Our job here was to explore the story of a songwriter coming into his stride on through the stories of his peers, and recollections from those that were influenced by him. Keeping the tone personal and heartfelt builds a connection with the listener, developing a deeper appreciation for the work. Jimmy Webb – Songwriter of classic pop hits. Re-purposed new interviews the marketing department did with Billy and producer Phil Ramone. Interviewed Sting backstage before The Police show at PNC Bank Arts Center. 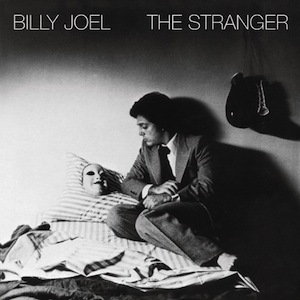 The Strangercast, a Billy Joel podcast was launched around the release date of The Stranger‘s reissue, and episodes were downloaded 40,000 times. The 30th anniversary edition of The Stranger has sold over 75,000 copies in the three months since the podcast was released.